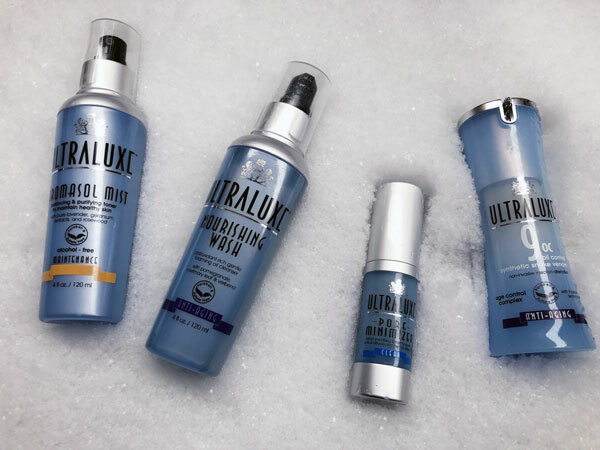 MyTopFace has special love for luxury skincare, we heard a lot about Ultraluxe and decided to test and review their products. This is a professional skincare brand, that creates products for all skin types and concerns. Ultraluxe is represented by many salons and spa, which means you can try before buying, just go to your local spa where it’s featured. invited us to get a customized facial based on various Ultraluxe products. You can read more about our visit to D’mai Urban Span in our previous article. Ultraluxe provides online skin consultation and one-minute skin consultation with a trained specialist to help you achieve the desired result. Our expert had a skin consultation with Nina, where she advised 5 products: Pore Minimizer, Anti-Aging, Hydrating Wash, Cleanser for Acne Prone Skin and Acai Mist. You can get a one-minute skin consultation that can be requested on the website or go through online skin consultation. 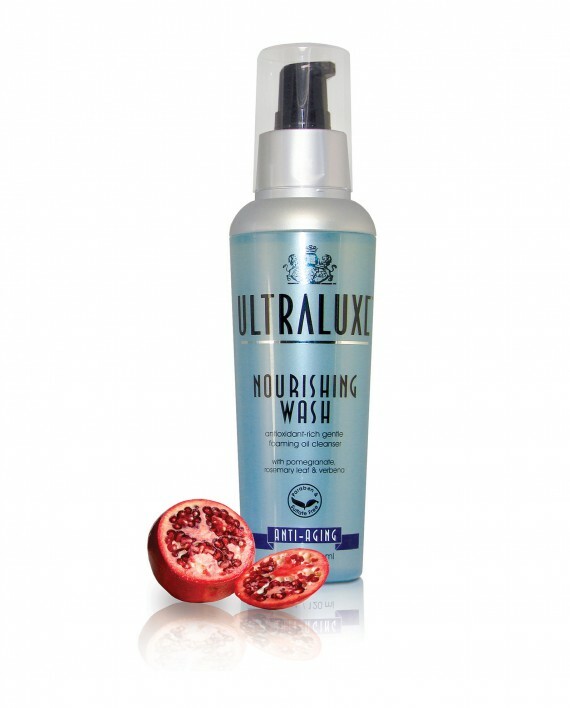 Cleaning skin: nourishing wash and clarifying wash.
Ultraluxe Nourishing Wash is a product from the anti-aging line and advanced with the tri-peptide complex. This wash is enriched with antioxidants is hydrates your skin while you cleanse. It’s based on a blend of nourishing oils such as pomegranate, verbena, and rosemary and has an awesome smell. Wash is completely soap-free so it does not dry your skin. Our expert noticed natural skin glow right after using a product. If you have a sensitive skin this is a perfect product for you. Next, we tried Açaí Clarifying Wash from a Clear line. This wash is a perfect fit for acne-prone skin. Includes three powerful antioxidants: Adirondack, Organic Acai, and Copaiba from Brazilian rainforest. It helps to balance oil production and exfoliate, after using skin becomes clean and refreshed. Aromasol Mist – Maintenance is a perfect product to apply after the wash, so did MyTopFace expert. This is alcohol-free toner that is infused with Geranium, Palma Rosa, and Rosewood extract. It has a nice gentle smell. To mist whole face you need just two sprays, make sure you shake well and close your eyes. The mist works like balancing and purifying toner you can leave it on the skin or use a cotton pad to remove. 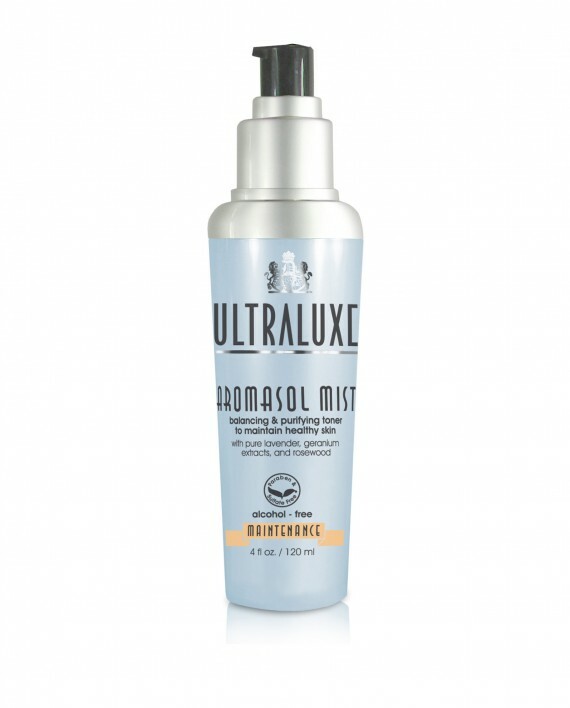 After using this Aromasol Mist the skin has a healthy look. Dead sea minerals absorb excess oils that helps avoid unwanted shine and calm your skin. You can use this mist instead of thermal water during summer time. MyTopFace hack: use Aromasol Mist as a makeup setting spray. MyTopFace expert was concerned about her pores around cheeks so as a next step she used Pore Minimizer from the Clear line. It is based on a blend of oils and antioxidants that help to control oil production, tighten and minimize pores as well as provide smoothing and mattifying effect. Our expert reported that she saw result almost right after using and this is a must-have product for those who’d like to minimize pores. 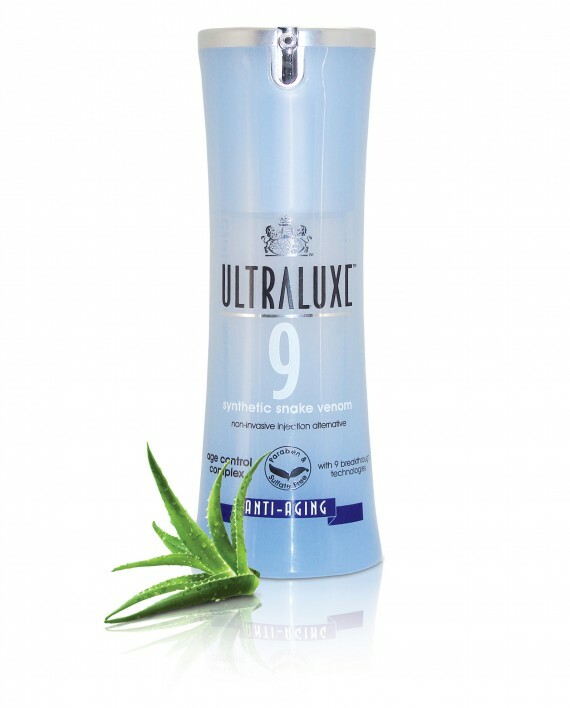 UltraLuxe-9 Age Control Complex with Synthetic Snake Venom. This product can be a perfect alternative to injection treatments. This pure miracle based on organic and cruelty-free ingredients such as vitamin E (most powerful ingredient to fight wrinkles), bitter orange oil, and apricot oil which helps keep your skin hydrated. Perfect fit for dry, normal and combination skin. The result came immediately deep wrinkles on the forehead of expert become more invisible, skin looks smooth, soft and nourish. This product is not cheap, however, it is a cheap alternative to injection and we say its definitely worth it to try. 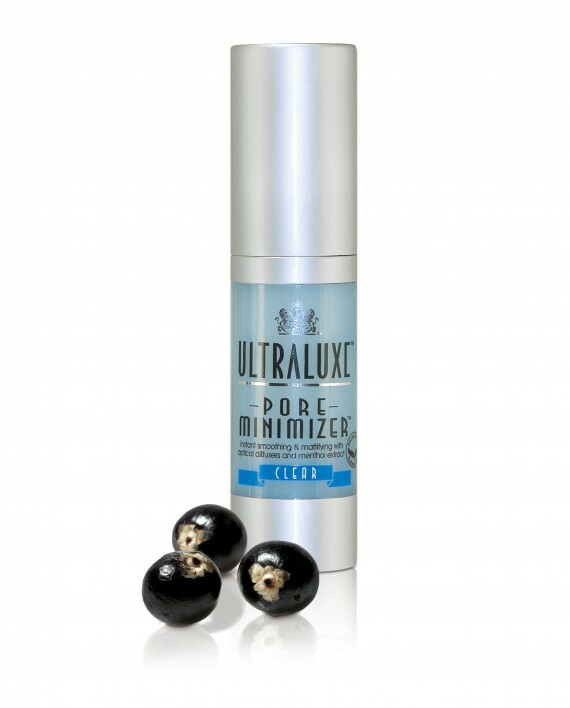 Thanks a lot ultraluxe for your wonderful formulated products and we can’t wait to try more.